Qualify if it’s your birthday month. Chance to win $25 Star Cash, $50 Star Cash or $100 Star Cash every hour. Simply swipe your Star Rewards card at the kiosk on the last Thursday of the month. 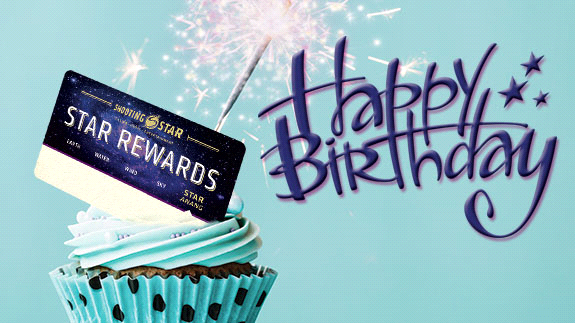 Plus, swipe your Star Rewards card any day the month of your birthday and receive $5 Star Cash.